The Australian Nanny Association aims to provide a support network for Australia’s nannies, families who employ nannies, and service providers. Australian Nanny Association providing a Community , Information, Discussion, Development, Standards, Events. Get Involved! Join our vibrant national community as an Australian Nanny Association member. We have some public resources available for download. Member resources are available through the member logon. Be kept up to date about all the industry events, conferences and training events. Education and training information for the nanny industry. What is the Australian Nanny Association? The Australian Nanny Association Incorporated (ANA) was established in 2012 in response to the increasing demand for in-home childcare. We represent our members from the home-based child care sector including and not limited to nannies, in-home care educators, home-based carers, families employing nannies, agencies and service providers of home based care services. The Australian Nanny Association aims to provide a support network for Australia’s nannies, families who employ nannies, and service providers (agencies). The Australian Nanny Association believes professional nannies should be recognised as a legitimate quality childcare option for families, and that the availability of the Child Care Rebate (CCR) should be extended to families who employ nannies. 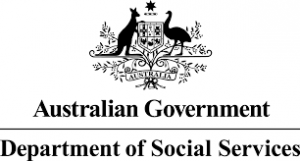 This would allow greater flexibility in meeting the childcare needs of Australian families. The Australian Nanny Association also aims to educate the public about nannies and the role they play in the care of children within the community. ANA participates in a variety of Stakeholder and Government Consultations. Currently ANA is participating in regular consultation with the Federal Government and key stakeholders on Early Childcare and Learning to complement the Council, the Department of Education. The Group’s membership encompasses organisations from across the sector with experience in the operation of child care and early learning services. Join our vibrant national community as an Australian Nanny Association member. There are options for nannies, agencies, businesses, families and individual supporters. Lobbying has been a part of the ANA role since its inception in 2012. We have been engaging in talks with federal political representatives and key stakeholders in the nanny community. The ANA would like quality registered training organisations to re-introduce quality accredited and recognised qualifications. The Australian Nanny Association has set its own minimum standards as membership criteria for nanny and agency members. Advocacy to ensure professional interests are shared effectively to other professionals, key stakeholders and government bodies.